Making the decision to look for a warehouse to grow with your successful business can cause both excitement and wariness. After all, the increasing size of your company means more customers, more profits, and more supplies. Keeping these supplies and products in an office or showroom simply won’t work anymore, leaving you to search for a convenient storage solution. You can give better customer service by answering specific shipping related questions. Surplus supplies can be stored and ready to go when demand rises again. You probably won’t need to package and process products anymore. Warehouses offer better organization when it comes to inventory processes. 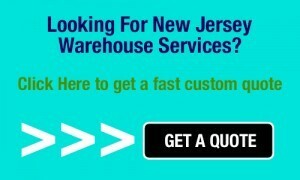 Having a warehouse takes care of storage issues while giving you the opportunity to transport products at lower costs. Plus, warehouses are designed to maintain product quality so you can be confident in your deliveries. However, you need to do your research before and during the search to ensure a better experience. 1. How Big Do You Plan On Growing? The scalability of a supply chain solution remains an important aspect of the search. If you expect rapid growth, a vendor should offer plenty of options of increasing your square footage while giving you the tools you need to continue quality work. Considering growth at a warehouse facility will save you time and money in the long run. 2. Where Should Your Warehouse Be Located? Consider where most of your suppliers and customers reside when choosing a location. Being close to them will save everyone transportation costs. Furthermore, your facility should be close to ports and major highways. Choosing the right location right from the beginning promotes strong strategic profitability. 3. Do These Buildings Have Strong Security? Find out if these facilities have restricted access and strict hours of operation in case you ever want to enter the building during off hours to get some tasks completed. Restricted access gives you the peace of mind knowing that only authorized staff will be around your products. You should also tour the grounds of each location to become familiar with the area. 4. What Kind Of Services Do You Require? You may need special environments to accommodate your products. For example, your supplies might need to be kept in a sterile location or maybe they need to be kept in a more climate controlled place. You should also ask if a warehouse will palletize your shipments, has fullfillment services, and if they can arrange local delivery. These questions will give better insights into what your business needs right now and in the future. 5. Do You Understand Vendor Pricing? Knowing your budget even before you start looking for a vendor should be a top priority. Then, once you start interviewing possible facilities you can compare costs and services. Make sure you fully understand each warehouse’s pricing structure. Ask about square footage, weight, shipping, and handling charges as these can add up pretty quickly. You might have to adjust your budget to meet the demands of your specific product fulfillment needs. Finally deciding on a supply chain solution is a rewarding accomplishment. Not only is your business growing, but now you can provide for your customers more efficiently while cutting down on final costs. Plus, you won’t have to sacrifice the quality of your products since they will be properly maintained by trained staff. Overall, finding the right warehouse will solidify your business’s image to current customers while exposing your brand to new ones.